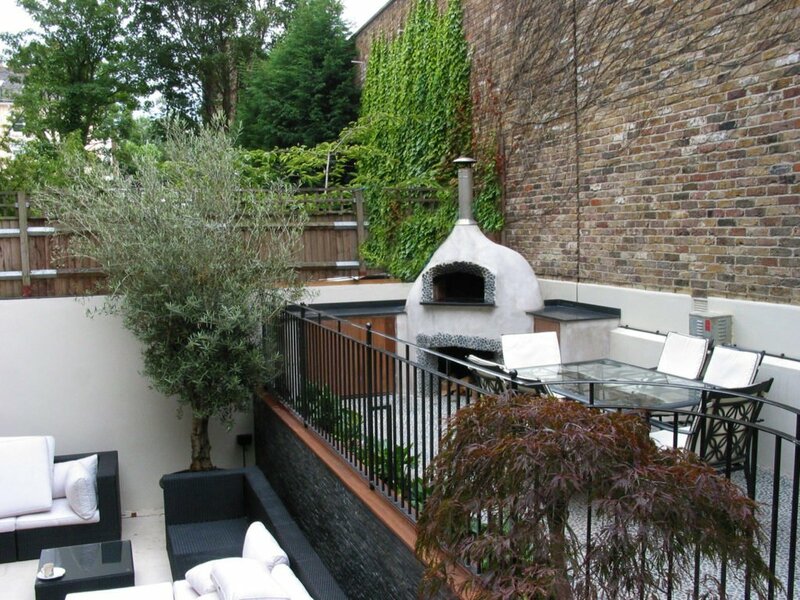 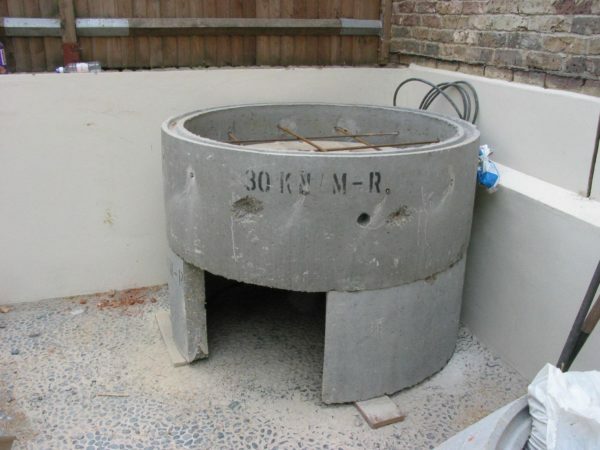 The client contacted us in 2011 to come up with a design to go with his newly renovated house and garden in London’s Belsize Park. 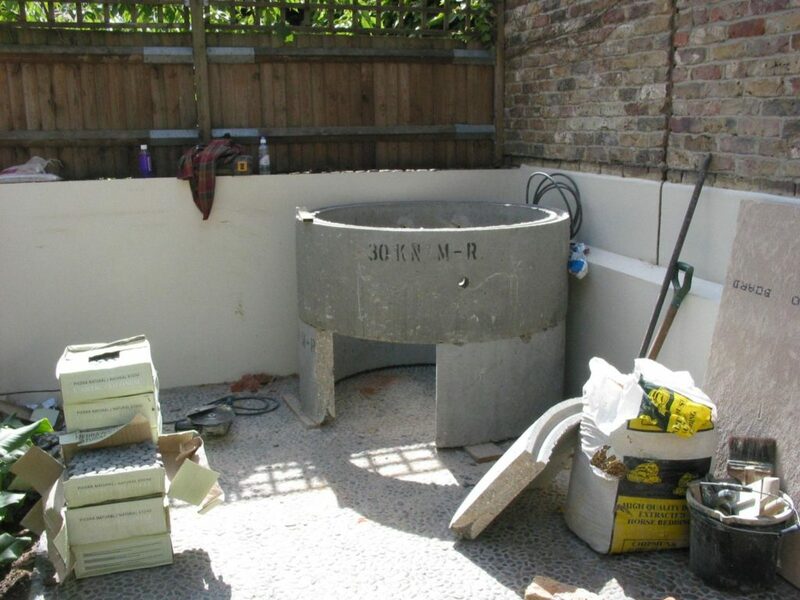 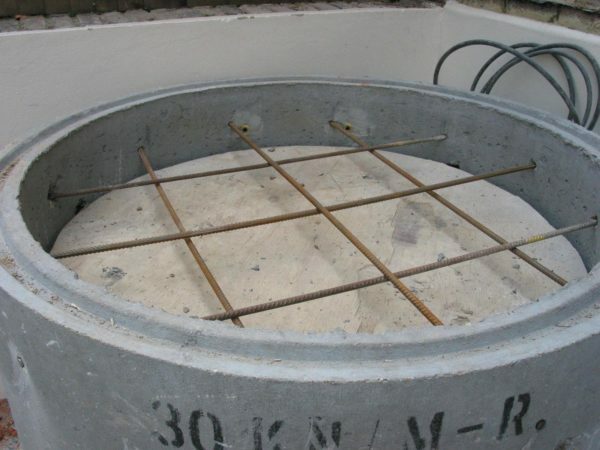 Taking the themes present in the garden- whitewashed walls and river pebble tile paving- we prepared a plan to include an oven he had already bought and had delivered. 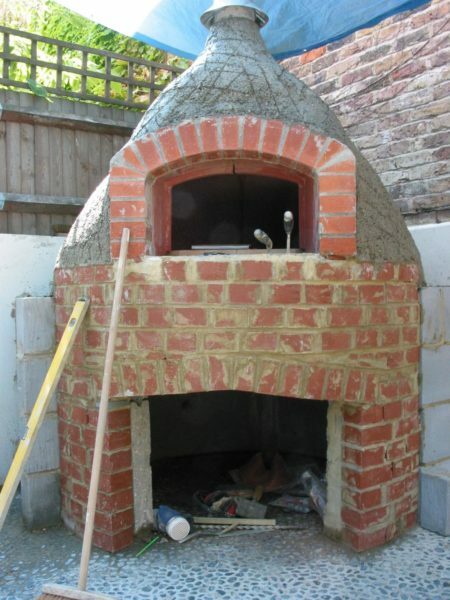 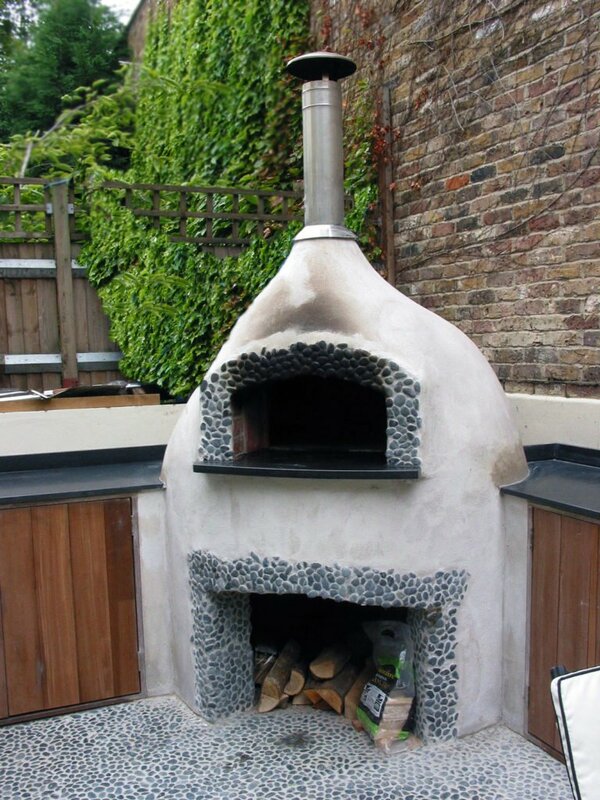 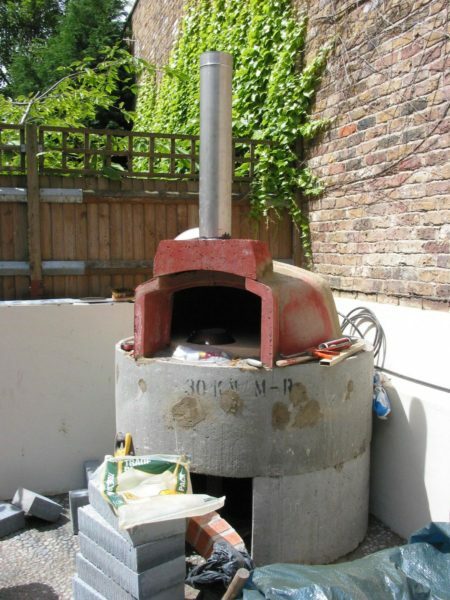 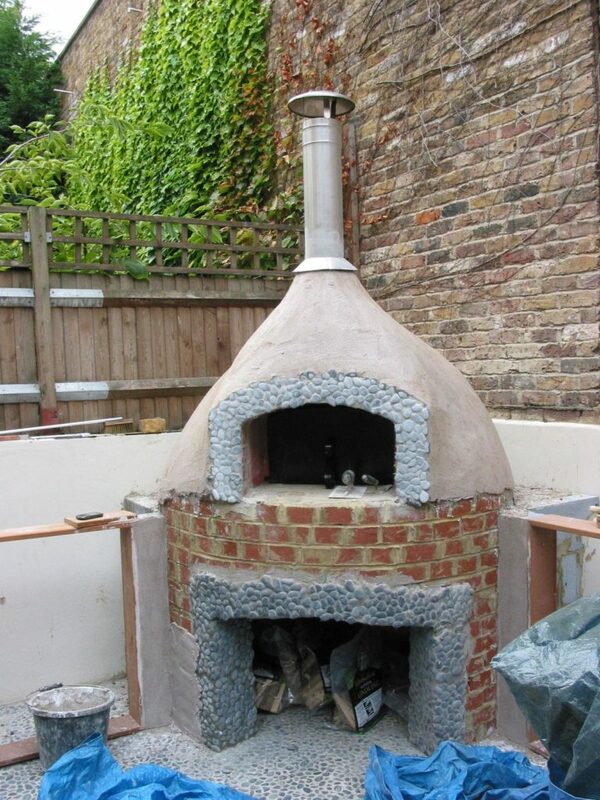 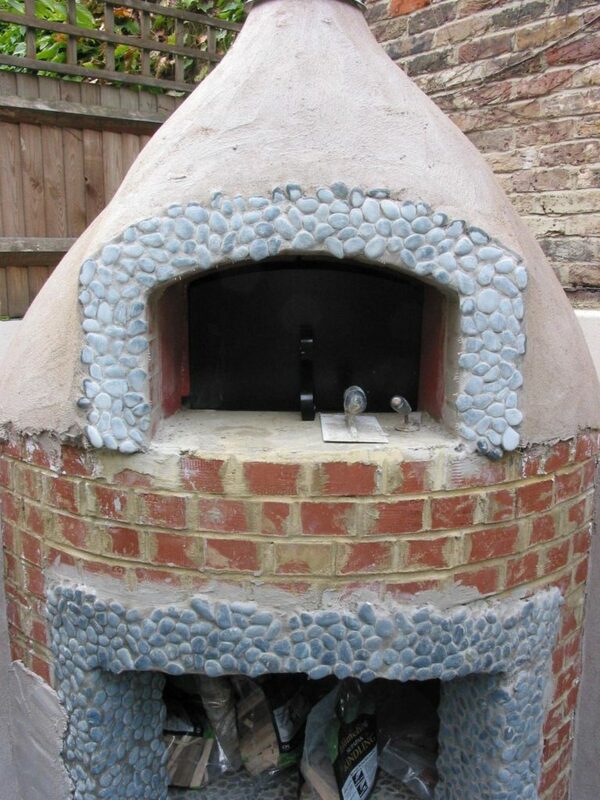 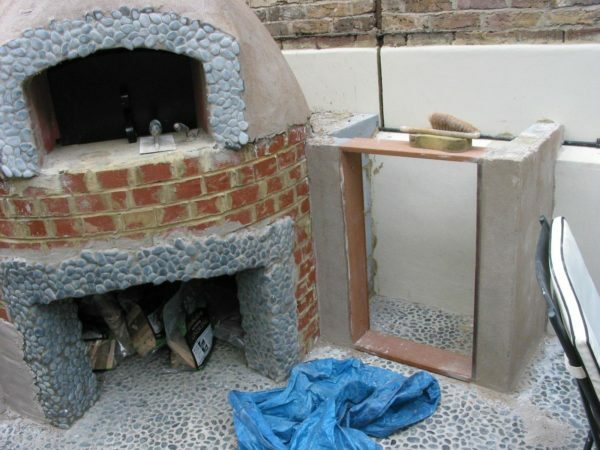 The design and final installation incorporated a Valoriani GR100 wood-fired oven decorated with plain white lime render and pebbles flanked by two cupboards with granite worktops. 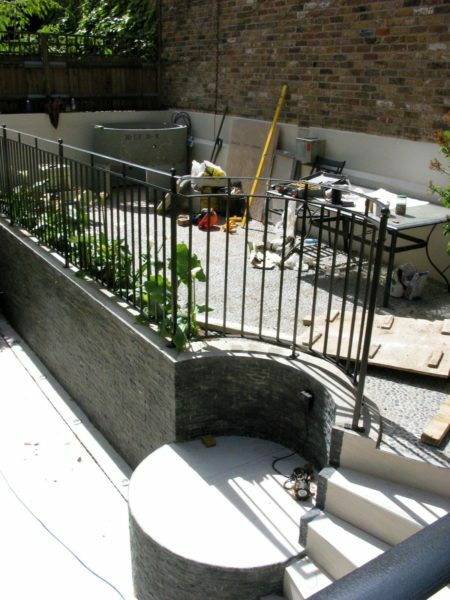 The client was pleased with a smart solution for his smart and modern garden.